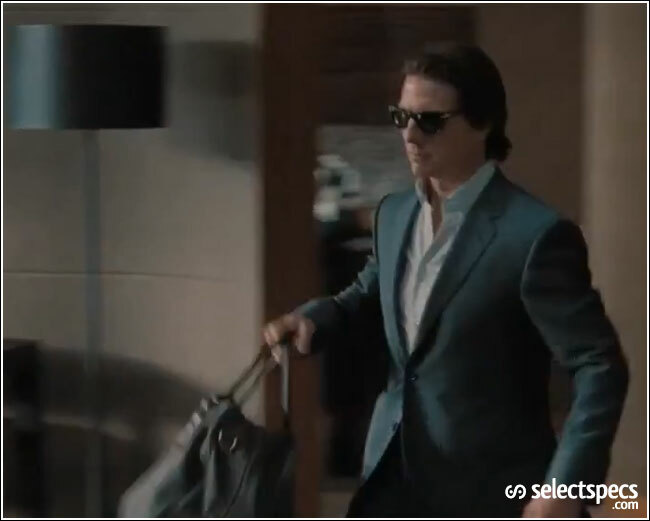 Further to our original blog post about Tom Cruise in Mission Impossible 4: Ghost Protocol, Ethan Hunt (Tom Cruise) is seen in the MI4 Trailer 2 wearing a pair of Persol Sunglasses. While it is difficult to identify them from the very short sequence we see, they do look quite similar in style to the Persol PO2935S. Watch the latest trailer below. Do you know which eyeglasses Greg Kinnear is wearing at "I Don´t Know How She Does"? I guess it´s a Tom Ford, but which model? Do you know what sunglasses are those that Samuli Edelmann in Mission Impossible 4? It's the scene where he takes the elevator and glasses look like some square-ish type of aviators. Hey did you ever figure this out? The one Samuli Edelmann is wearing? I have been trying to narrow the model down as well. It came down to the PO2944, and PO2966s. That's until I found the PO2978s. Looking at the overall lens size/shape, bridge, temple, and temple tip, the PO2978s is the only model that properly matches up. The link that Joe posted in the prior reply is a good example. It is 2978 color 24/31. Sunglass Hut told me so (their parent companynowns Persol brand). What kind of glasses is he wearing while he is on the outside of the burj Khalifa? I can't find them anywhere. The ones he puts on during the sandstorm..